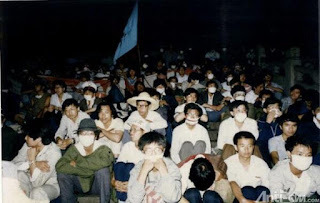 Students at the Monument of People's Heroes around 4am. 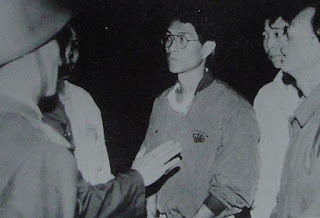 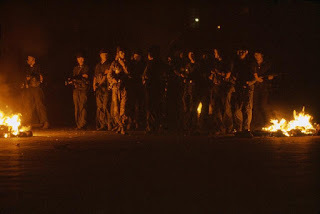 Around 3:45, Hou Dejian (center) and Zhou Duo (right) negotiate with troops. 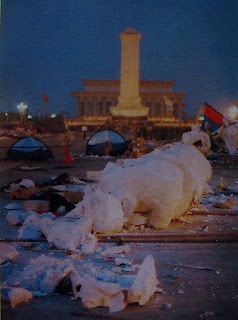 At 4am, darkness fall at Monument as most of lighting in Tiananmen Square are turned off. 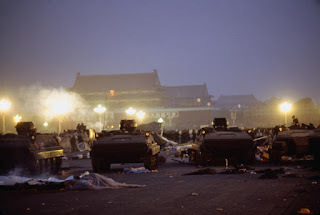 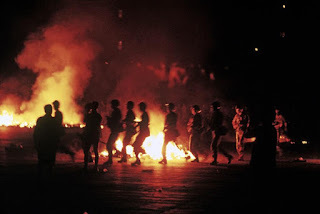 Soldiers on the move in Tiananmen Square. 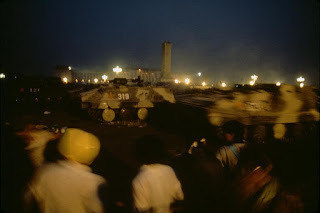 Tanks approach the Monument of People's Heroes. 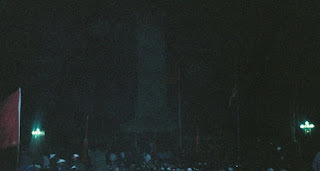 APC's approach Monument of People's Heroes. 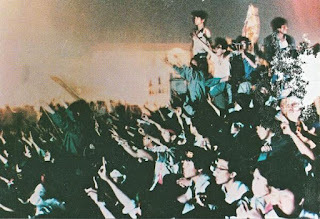 At the Monument of People's Heroes, students sing and shout slogans with V-gestures. 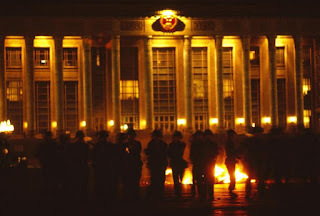 The ruin of the Goddess of Democracy.